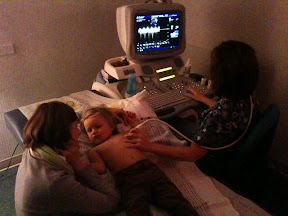 Today we went with Abi for her cardiologist appointment; first in 6 months. 6 months it's been the longest in between visits in her entire life. She did great during the appointment, though she was much less distractible then the last time when she was younger. 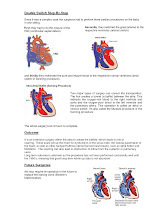 Her Ebstenoid tricuspid valve is not leaking much and does not seem to affect her in any negative way. If there are no changes to it she may never need a surgery to repair or replace it. The pulmonary baffle that was created during double-switch surgery and corrected last year is wide open. 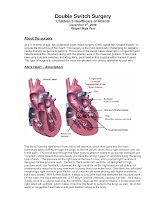 No blood flow obstruction! That's a wonderful news! The next important thing to check was possible leakage where the TGA repair was made. Nothing wrong there either! It was one of the best appointments ever! Once again we got into talking about Abi's future, and I mean FUTURE. It is possible things may change with her growing, but it is possible she will not need any medical, heart related intervention in a long time, if ever. If she was 16 years old now with her heart looking this good, she would most probably never need anything done with any of the defects and/or repairs. She's absolutely amazing! ! !